Hello Katherine - you are correct, the current site is only a placeholder for the full site currently being developed. The site will include complete information regarding the pigment content and other qualities of each color as well as information about QoR mediums and grounds for watercolors. Hello Katherine - you are correct, the current site is only a placeholder for the full site currently being developed. 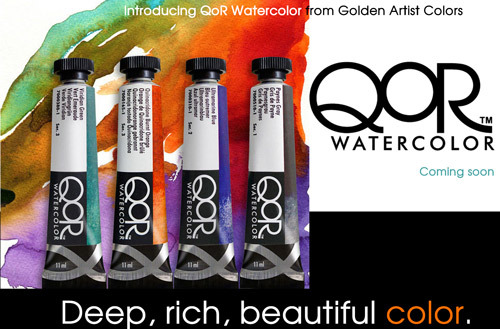 The new site will include complete information regarding the pigment content and other qualities of each color as well as information about QoR mediums and grounds for watercolors.